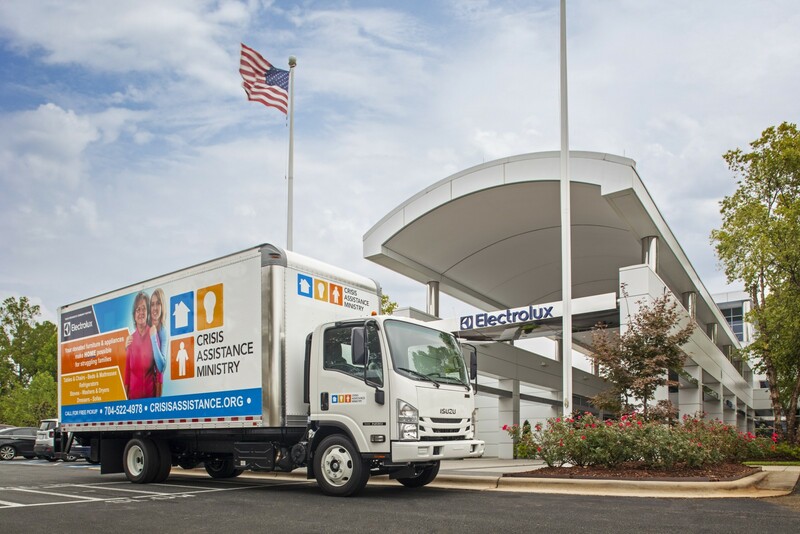 CHARLOTTE, N.C., October 6, 2015 — Electrolux announced today that it has donated more than $1 million in appliances to Charlotte area non-profits. 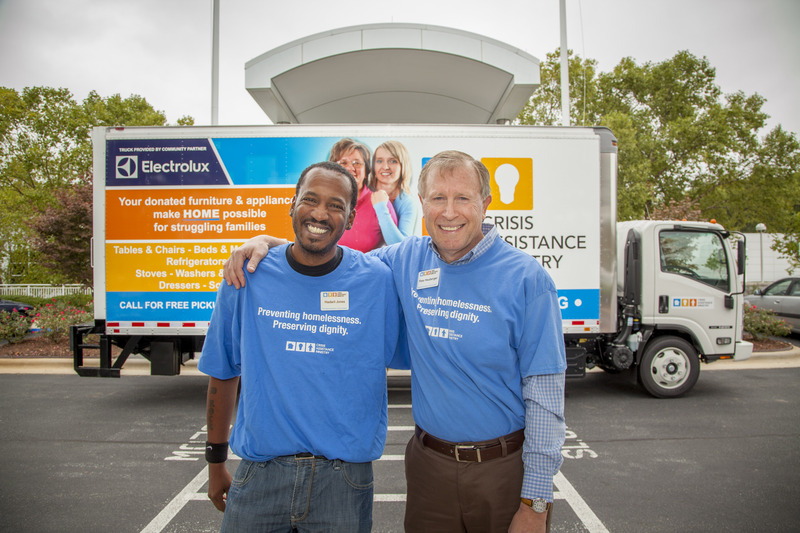 Today’s donation of Frigidaire refrigerators to Crisis Assistance Ministry, valued at more than $100,000, brings the total value of appliances donations to more than $1 million since the company moved its headquarters to Charlotte. 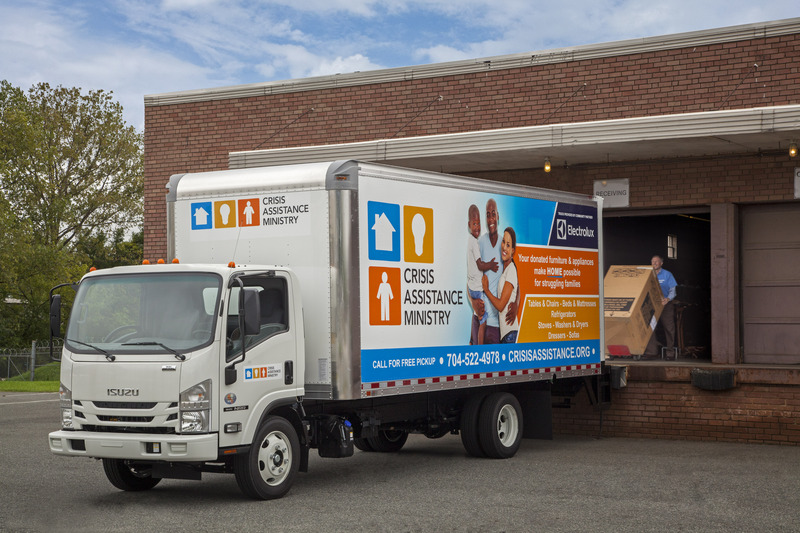 To commemorate the milestone, the company is giving an additional gift: a large commercial grade delivery truck to Crisis Assistance Ministry. 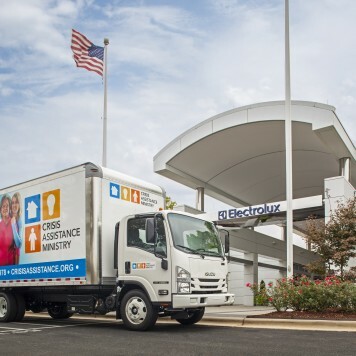 During an employee event at Electrolux headquarters today, the company celebrated the $1 million milestone and unveiled the new truck to employees. The truck will enable the agency to pick up donated furniture and appliances, and then help local Charlotte families transport it to their homes. These families are often reestablishing their lives and moving forward from homelessness. “We are also grateful to the community partners who have helped distribute the appliances to those who need them,” McLoughlin added. 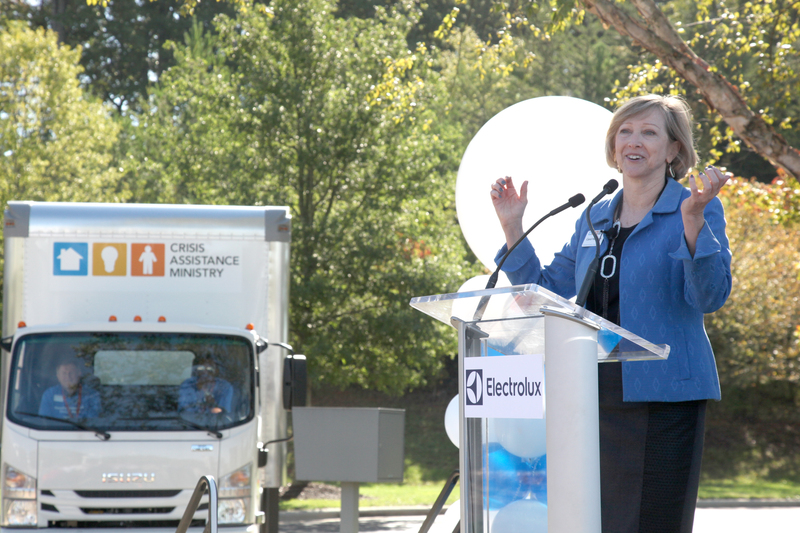 “Since they arrived in our community, Electrolux has consistently given generously to change the lives of struggling families,” said Carol Hardison, CEO for Crisis Assistance Ministry. “Their commitment to preventing and ending homelessness is strong. 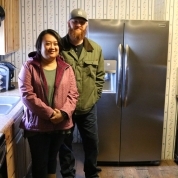 “Having access to high-quality, appliances have removed a lot of barriers for people moving into stable housing. And now, a new, dependable truck will provide essential furniture, beds, and appliances for individuals and families overcoming daunting crises and will give them a chance to start over. On their behalf, I am so grateful for this humbling gift,” Hardison said. 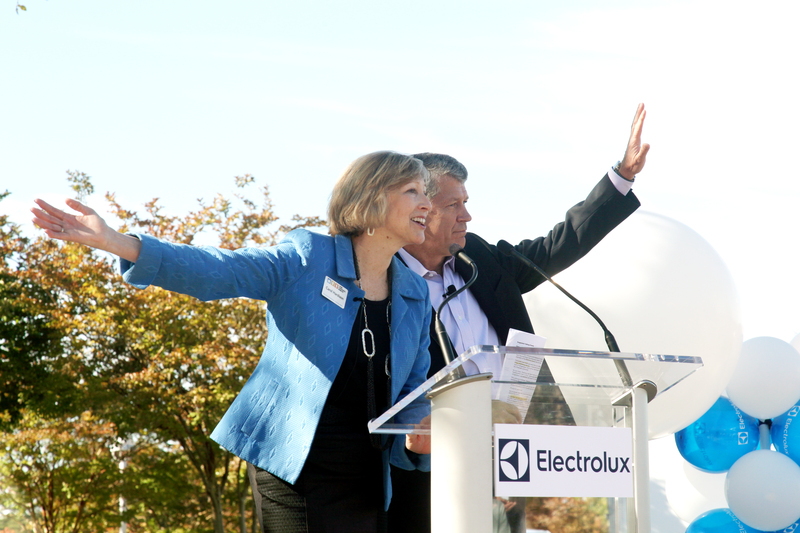 Since establishing its North American headquarters in Charlotte, Electrolux has supported STEM education, critical needs, and the arts in Charlotte, as well as donating appliances through numerous nonprofit organizations including Crisis Assistance Ministry, Builders of Hope, Second Harvest Food Bank, The Ada Jenkins Center and others. Electrolux is a global leader in home appliances, based on deep consumer insight and developed in close collaboration with professional users. We offer thoughtfully designed, innovative solutions for households and businesses, with products such as refrigerators, dishwashers, washing machines, cookers, vacuum cleaners, air conditioners and small domestic appliances. 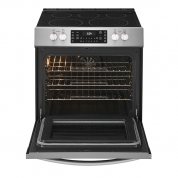 Under esteemed brands including Electrolux, Frigidaire, AEG, Zanussi and Electrolux Grand Cuisine, the Group sells more than 50 million products to customers in more than 150 markets every year. In 2014, Electrolux had sales of $16.3 billion ($5.6 billion in North America) and 61,000 employees. 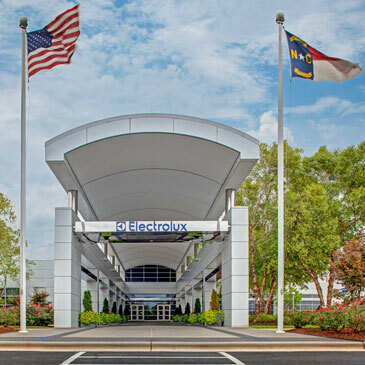 The Electrolux North American headquarters is located at 10200 David Taylor Drive, Charlotte, NC 28262 in the University Research Park. For more information, go to http://newsroom.electrolux.com/us/ . Crisis Assistance Ministry is Mecklenburg County’s Lead Agency offering emergency assistance to impoverished families. Specifically, Crisis Assistance Ministry prevents homelessness and preserves dignity for struggling families by: addressing the immediate crisis with emergency rent and utility assistance, clothing, household goods, furniture and appliances; providing counseling, services and support to give families the tools they need to move toward financial stability; and educating the community about the realities of poverty in Mecklenburg County. Visit them online at www.crisisassistance.org or www.facebook.com/crisisassistance.